Yesterday, my daughter & I experimented with painting with rubber thimbles. 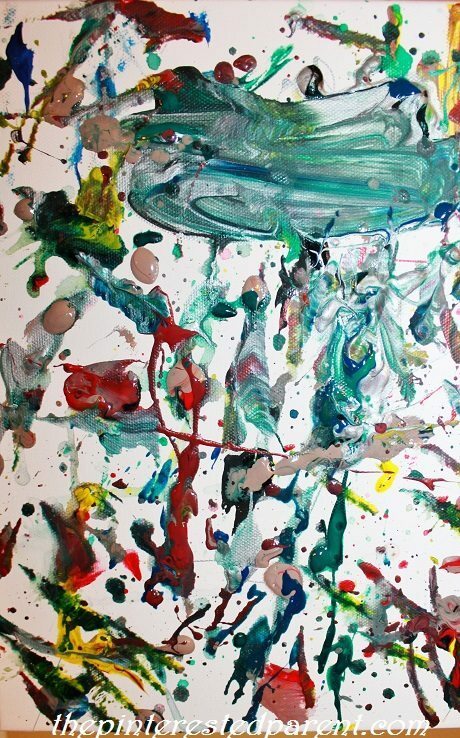 Her thimble finger painting reminded me of a Jackson Pollock painting. 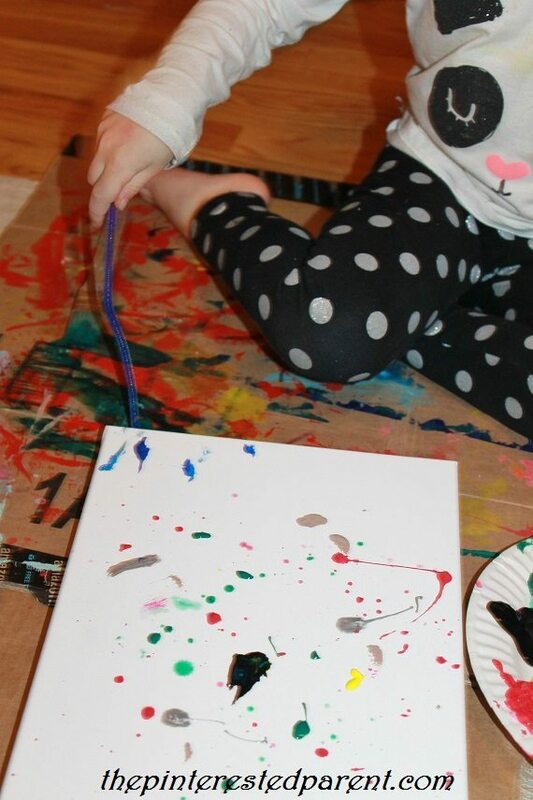 I told my daughter this & she replied “What’s a Pollock?” I showed her some photos of his art and explained to her about his dripping & splatter techniques. I thought the best way to explain to her would be to make some art inspired by his work ourselves. Luckily, I always have canvases in the house just in case. We laid down drop cloths & cardboard before starting our messy project & then put down our blank canvas. We watered down acrylics paints for our project. 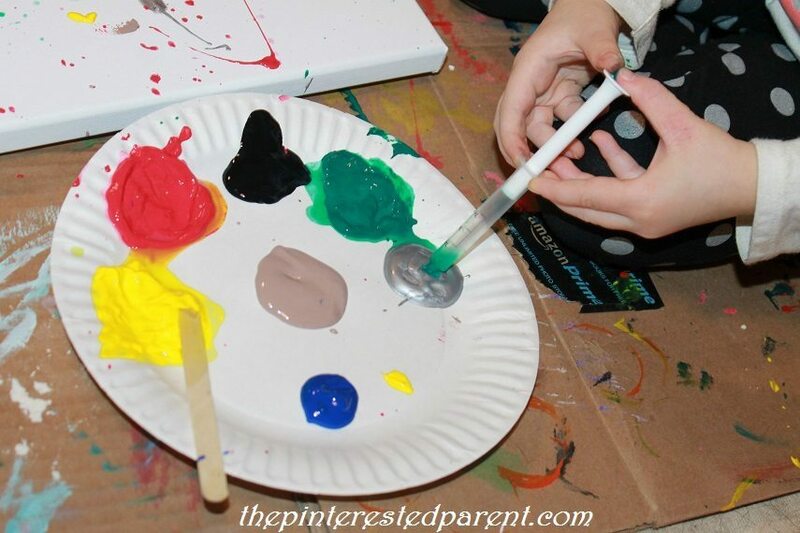 I laid out medicine droppers, pipe cleaners, craft sticks & assorted paint brushes for us to use. 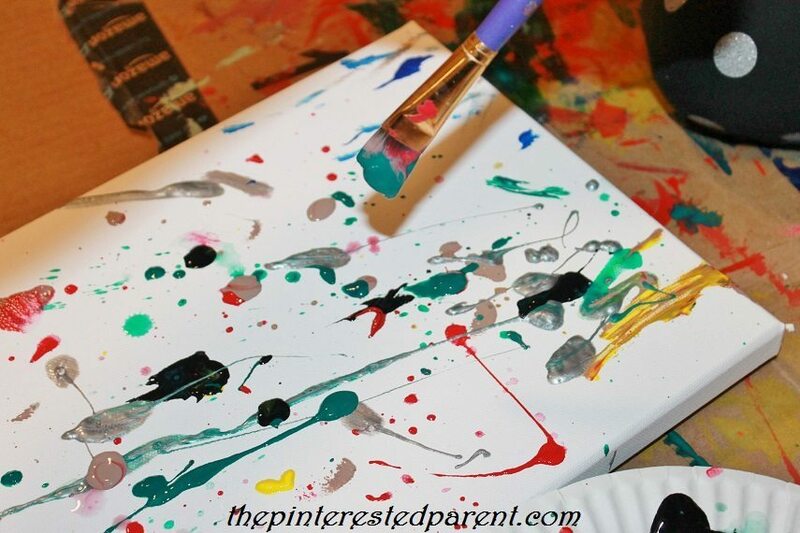 We used the pipe cleaners to slap paint onto the canvas. 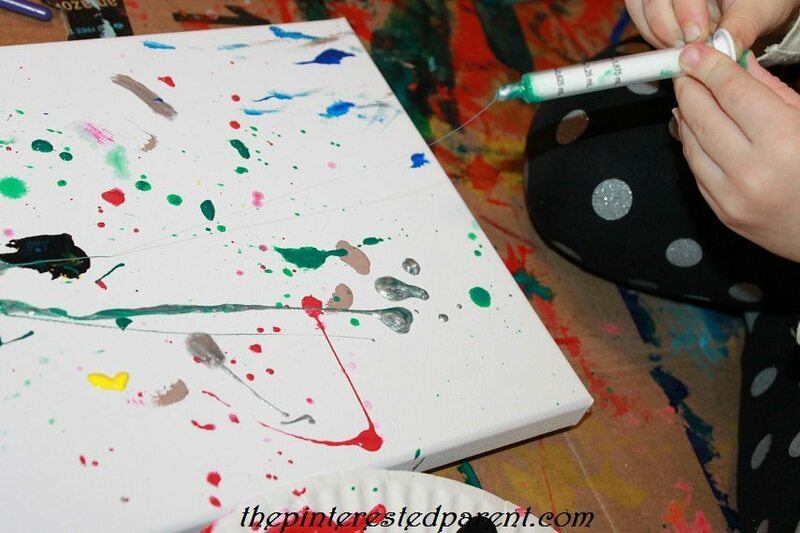 We used the medicine dropper to drip & squirt the paint out onto the canvas. 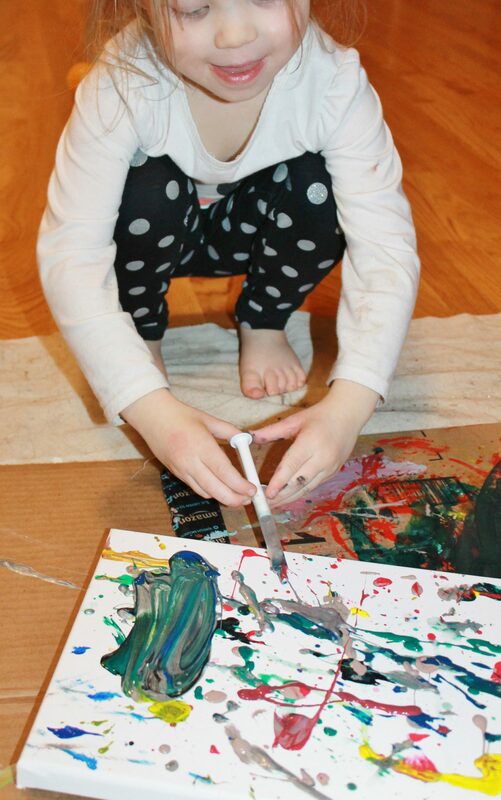 We did paintings with medicine droppers a few weeks ago & Mai loved it, so this was by far her favorite part. She used the dropper for the majority of the project. 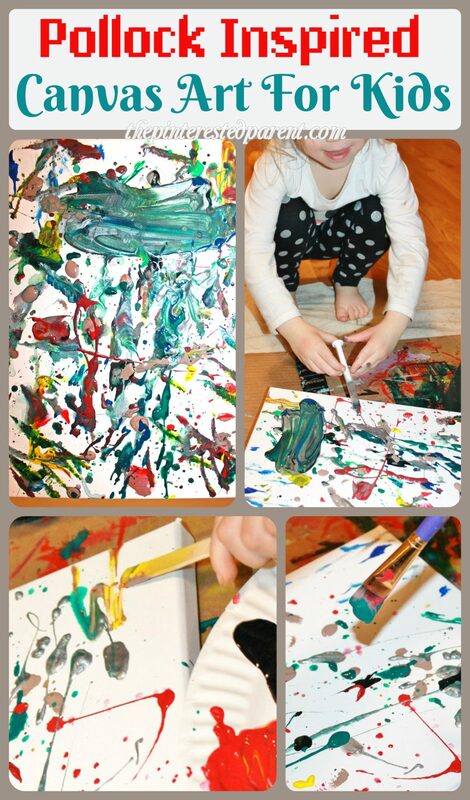 She spread a little bit of paint with the craft stick & had fun shaking & splatting the paint brushes. She was so enthusiastic about shaking her brush that some paint did make it off the drop cloth & onto the floor. Oops! Don’t worry. It came right up. She kept going until we used up all of our paint. Here was the finished project. Thank you, Janine. 🙂 My daughter loves anything that involves mess. 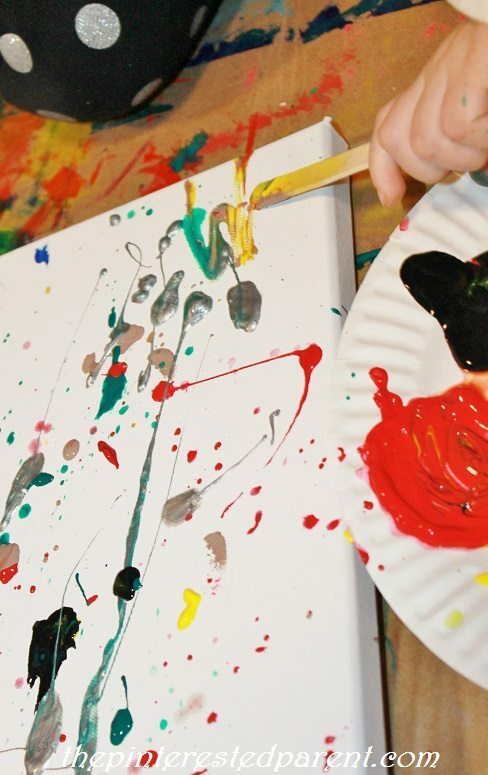 Lovely photos reminded me of when my kids were small and we used to paint on anything, unused rolls of wallpaper were a favorite.